For pups, toys are amazing. And new ones are always interesting to check out! But where is the fun in playing with one, if you have no one else to play with? Even the most boring toy can be made fun if you are using it to play with someone you love! 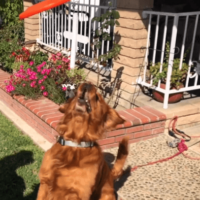 Watch How This Adorable Pup Tries To Catch A Frisbee! Not all of us enjoy sports for various reasons. Maybe it just doesn’t catch your fancy, or you aren’t very good at it – and that is all perfectly okay. 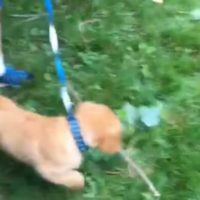 Being bad at it doesn’t mean you can’t just enjoy yourself though, as this pup quickly proves! 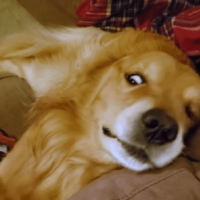 This Adorable Pup Is All Of Us When Someone Tries To Test Our Patience! This Is Funny! Have you ever been forced to babysit kids younger than you during your teenage years, and you find that they are just way too much? Or perhaps you love kids, but they can be so high energy, and it gets pretty exhausting as a result! 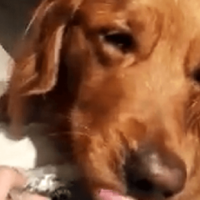 This Adorable Pup Is Currently Enjoying His Favorite Treat! So Yummy! We all have foods that we just absolutely love. It isn’t exactly the most socially-acceptable thing, but we all know that we would lick our bowls clean if we could! 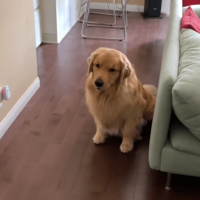 There’s Nothing More Peaceful And Stress-Relieving Than Chilling Out With Your Pup! Watching your pup grow up from puppyhood is one of the greatest pleasures in life. What could be more satisfying than seeing a small puppy grow up strong and healthy under your love and care?